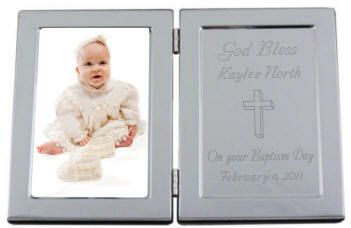 This mirror finish rectangular hinged frame features a personalized Christening, Baptism or First Holy Communion engraving on one side with a 3in. x 5in. photo frame on the other side. It can sit on a table or shelf but is not meant to be hung. 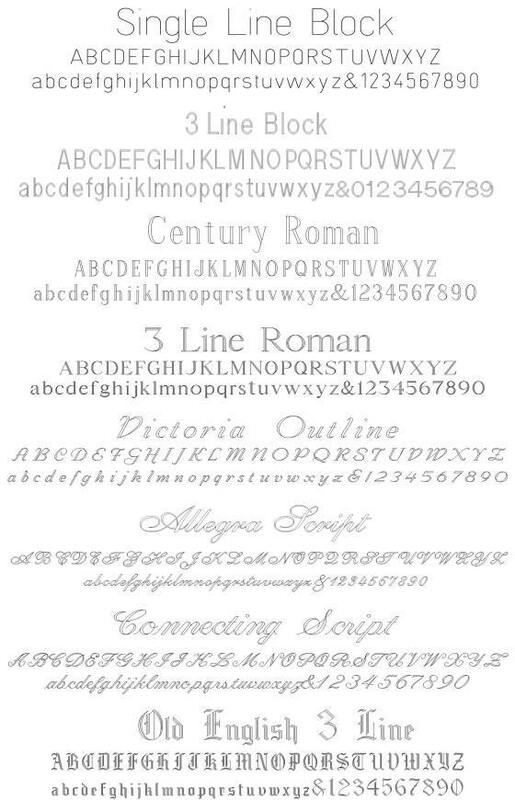 With a non-tarnish chrome finish, this personalized frame makes a lasting Christening, Baptism or First Holy Communion gift.